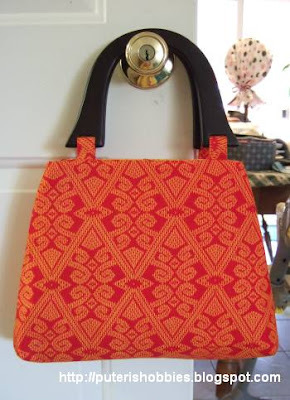 The motif on the fabric of this flare bag is a print of the "pua kumbu". My mother told me to make a bag for her using this fabric. What a pain it was trying to finish the bag with the handles already on! Is there another method? I mean other than stitching the handle straps on the outside? 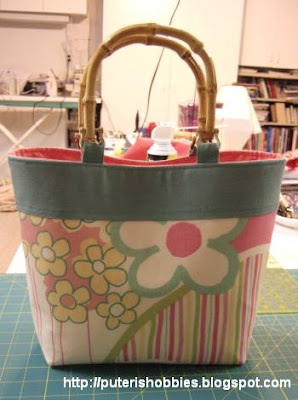 This is like the other totes but with rattan handles. With those handles it looks like a basket. Hence this style is called basket style bags. I like these kind of handles because they can be unscrewed and so they can be attached to the bag after the bag is completed.